Jeremy Hunt‘s poem The Vision of Saint-Jean-de-Fos, which was composed during Lagamas 2013 residency, was for the first time publicly read in London on Tuesday 7th January 2013. 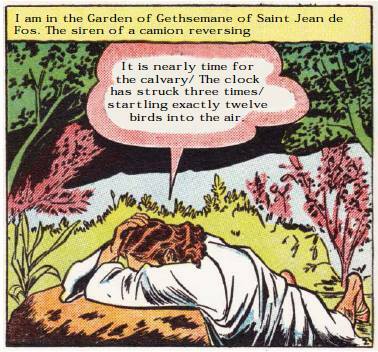 The Vision of Saint-Jean-de-Fos poem is being turned into a libretto to be performed by the Musarc choir, and expected to be premiered in London towards the end of 2014. 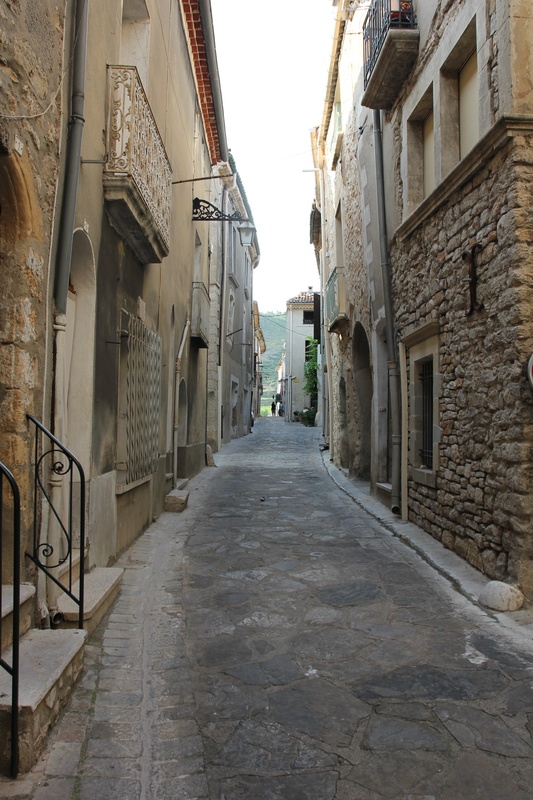 The poem was inspired by an afternoon spent on the main square of Saint-Jean-de-Fos, a medieval village whose history is closely associated to religion and pilgrimages. The ‘circulade‘-shaped village is located on one of the most frequented routes leading to St. James’ Way. Its bridge over the Hérault river, nick named the Devil’s Bridge (Pont-du-Diable) was an obliged passage between the abbey of Aniane, founded by Saint Benoit d’Aniane in the 8th c. (becoming a central point from where irradiated the influence of the Order of Saint Benedict across Europe) and Saint-Guilhem-le-Désert, a designated UNESCO World Heritages site, where Saint Guilhem established in 806 the monastery of Gellone. Musarc is a research and event platform based at The Cass Faculty of Art, Architecture and Design, London Metropolitan University, exploring the relationship between architecture and sound. It provides an environment for architects to engage with sound not just as an acoustic phenomenon but as a tool for research and a means to engage with places. For composers and artists, Musarc offers an opportunity to develop new work in this context and collaborate with architects and designers to realise their ideas. The choir was founded in November 2008 and rehearses every week in the heart of the architecture school.